The Shadow War ends at Coriana VI. "Pour it on, Mr. Lennier. Take us into the fire." To live on as we have is to leave behind joy, and love, and companionship, because we know it to be transitory, of the moment. We know it will turn to ash. Only those whose lives are brief can imagine that love…is eternal. You [Ivanova] should embrace that remarkable illusion. It may be the greatest gift your race has ever received. -As Ivanova and Lorien make their way back, Ivanova becomes impatient (as is typical). Lorien counsels patience; the battle will be won by whether Sheridan "knows what he knows". -Sheridan leads a mission to take out a Vorlon outpost, so they can advance to Coriana VI safely. He succeeds, and he and Delenn marvel at what they have accomplished: the greatest inter-species alliance since, well, the last Shadow War. He issues the pullquote as a command to Lennier. -Marcus and Lyta wonder: why Coriana and not Centauri Prime? They were roughly equidistant from the Vorlon fleet when they departed. They reckon that Coriana is easier pickings -- lots of people, lower tech. -Prime Minister Londo is prepping to try to get the Shadow ships off of Centauri Prime within 12 hours, to protect it. Since Centauri Prime is officially in a state of mourning, this is difficult and people are complaining. -Londo is informed of a piece of intel held from him by order of the late Emperor Cartagia: it was Morden, not Refa, who killed Adira. Londo melts down as he realizes that Morden "played him like a puppet" -- it was Adira's death that drew Londo back into the Shadow sphere. -Morden is taken to Londo. Londo is viciously efficient, and immediately has his guards kill the two invisible Shadows on either side of Morden. Londo gives Morden the chance to willingly remove the ships from Centauri Prime. Morden taunts Londo -- the Shadow ships can take on any Centauri ship when they're in the air, they'll launch at the first sign of attack. What will Londo do -- blow up the entire island of Cellini? As it happens: yes, yes he does, as Londo pulls out a detonator. Morden is taken away to face execution, but screams that the Shadows have allies, and Londo "will pay for what you've done here today!" Londo replies: "What I've done? Oh Mr. Morden, I've not even started with you yet." -Morden is executed offscreen; Vir sees his head on a pike and gives the wave he had long ago promised. -The asteroid belt is seeded with nukes. -Sheridan knows the fleet isn't enough to take on the Vorlons or Shadows, but he hopes it is enough to buy time. -Lyta is sending her consciousness out to try to detect any arrivals. -he two enemy fleets ignore the "Army of Light" and instead beeline towards each other. So Sheridan gets their attention by detonating three nukes. Lyta notes that "they're pissed." They aren't answering Sheridan's hails so they try to use Lyta to make telepathic contact. -The Planet Killer continues to move towards Coriana VI, so Sheridan calls in the First One allies to try to mass up and take it out. -In the garden with Morden's head, Vir and Londo celebrate a job well done -- the Vorlons have been made aware that the Shadow influence is gone. -But then, a Planet Killer shadows the planet. Vir looks at Londo, and realizes that Londo himself is some of the Shadow's taint. -Londo begs Vir to kill him for the good of all Centauri, when the Planet Killer gets a notice that the battle at Coriana VI is going poorly, and withdraws to provide reinforcements. Centauri Prime is saved. -Londo muses that any time anything nice happens to him, the universe seems to slap him afterwards. He sends Vir back to B5, as the Court is in a tizzy and it is safer to be far away. They embrace. -Lyta is telepathically controlled by the Vorlons, who trap Sheridan in a shield, and then the Shadows, who trap Delenn. It seems the two enemies have struck a deal, on this matter at least. -Lorien projects this moment to the entire fleet. The Vorlon and Shadows want to try, one last time, to win the younger races to their philosophy. The Vorlons: order. The Shadows: chaos leading to growth. -Sheridan confronts the Vorlon emissary in a dialogue; Delenn, the Shadow emissary. They both reject the philosophy of their respective First Ones. -Sheridan rhetorically asks the Vorlon why they haven't struck the Shadows directly. The answer: there's no point in doing any of this unless the other side realizes that their opponents has finally won. The younger races are basically the action figures in their galactic bit of play. -When an asteroid strikes the White Star, Lorien's involvement becomes obvious to the Shadows and Vorlon. They respond by enveloping the "Army of Light" fleet in a Death Cloud, which will kill them all in ten minutes. -A Vorlon and Shadow emissary appear on the White Star. Sheridan turns the questions back on them -- the Vorlons and Shadows do not know who they are or what they want. They are themselves lost, and the Younger Races now know the truth and won't be manipulated anymore. -The Vorlons and Shadows reject this and fire missiles at the White Star. Another ship intercepts the missiles (by throwing themselves in the path of the missiles, consigning themselves to death), proving that the fleet is behind Sheridan. -The First Ones aren't needed anymore. Lorien now gentle suggests that they should join their brothers and sisters outside of the Galaxy. The Vorlons, Shadows, and other First Ones do so, leaving Lorien alone. Lorien: As I taught you and stepped aside, now you must do the same. Our age is past. This... belongs to the younger races now. They have learned to stand on their own. They have learned to understand. Time to let them go. Shadow: Will you come with us? Lorien: I have been here since the beginning. I will not leave you now. I will go with you beyond the Rim, and we will see again all those who went ahead of us, all those who we have missed for so long. Vorlon: Then…we will not be alone? Lorien: I waited a long time for someone to find me. Now, like the others, I find I hate to leave. But none of us can stay behind this time. That was why it was necessary to find all the remaining First Ones. This -- is yours now. And you have an obligation... to do as we have done. To teach the races that will follow you and, when your time comes, as ours has, to step aside and allow them to grow into their own destiny. If your races survive, if you do not kill yourselves, I look forward to the day when your people join us... beyond the Rim. We will wait for you. -We are now, per Sheridan and Delenn, in the Third Age of Mankind, which has been mentioned since the credits monologue in s1. First age: they could not see beyond their world. Second age: under the aegis of the First Ones, the younger races grew and expanded. The Third Age: the Younger Races "make our own magic. Now we create our own legends. Now we build the future. Now we stop..." Sheridan finishes Delenn's thought: "...being afraid of Shadows." Behind the scenes: the Shadow War was meant to have lasted longer (although apparently not the full season), but when this season was being produced, it was believed to be the final season. JMS accelerated all of his plans to try to end B5 anywhere near where he intended. It is this race to the finish line that makes me hate our deus ex lacuna, Lorien. Also a little conflicted about Vir being portrayed as coming into his own by being the assassin. I would have liked to see JMS’s original, less-leaning-on-Lorien, version of this, as well. I always found it a little strange that with all that advanced species stuff, they were just children pining for their parents. Eh, I think it fits with JMS' general ethos. The Minbari are first presented as an older, wiser species (as I often called them early in my first watch, "Space Hippies" or "Space Elves", to my already-seen-the-entire-series husband's disapproval). Turned out they're not above petty nonsense (largely epitomized in the Warrior caste), either; so too with their fairy godparents, the Vorlons... All the way back, everyone is fundamentally "human-like". It's very Grecian of him; the gods are just people with great power, fools all of them in their own ways, and we just have to deal with it. And much like Zeus and the Greek gods, turns out they all have some serious daddy issues [gory Goya painting]. 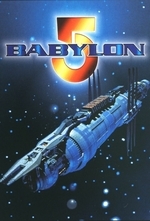 If the BSG reboot was around during the mid-90s, I think JMS would largely agree with its tagline: "All of this has happened before, all of this will happen again." I just want to note how ballsy and interesting it was not to end on this, though. Any other series, this would have been the last episode.